Researchers call for greater balance between conservation and nutrition when it comes to hunting. 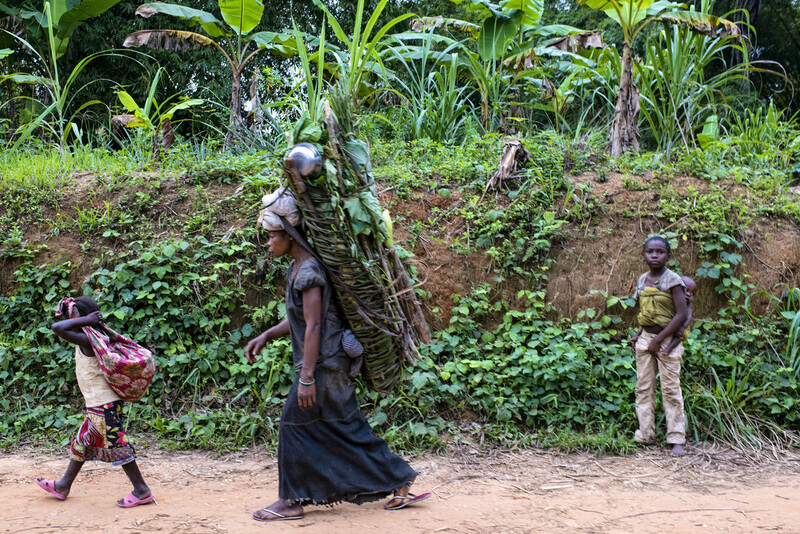 On the way from the Reserve_Village of Masako to Kinsagani, Democratic Republic of Congo. BOGOR, Indonesia—A new study has found for the first time a link between the availability of wild meat and human malnutrition, and calls for a better balance between conservation and development objectives in the management of bushmeat. 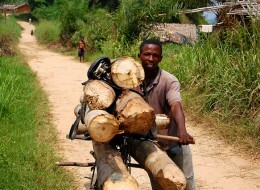 A rapid increase in the hunting of wild animals has raised concerns of “empty forests” — a hypothetical scenario where forests are void of large mammal species — and therefore “empty stomachs” in communities that depend on bushmeat for nutrition. But the new research finds that things aren’t always that simple. “What we’ve found is evidence that some areas in the central African region seem to have achieved a good balance between the amount of food available in terms of wild meat and nutrition,” according to John E. Fa, the lead author of the study, a visiting professor at Imperial College London and Senior Research Associate at the Center for International Forestry Research (CIFOR). The study also involved collaboration from spatial modelers at the Universidad de Málaga in Spain. “But there are other areas in central Africa where malnutrition is a real problem, and that has to do with there being a lot of people and not enough wild meat and other sources of proteins, vitamins and iron,” he said. The study compared two different landscape types in central Africa’s Rainforest Biotic Zone, which includes the countries of the Congo Basin. Child stunting is commonly used as an indicator of overall malnutrition. Closing this gap will require those designing development programs to consider bushmeat’s role in nutrition more seriously, rather than seeing bushmeat solely through a conservation lens, the researchers wrote. The study looked at the distribution of mammalian species and classified them according to their hunting potential, estimating how much wild meat was likely to be available to communities. After finding a strong association between the availability and diversity of mammals and child stunting, the study tested three hypotheses: that mammalian diversity patterns directly influence malnutrition in humans; that mammalian diversity patterns influence human population levels and their impacts and these are correlated with malnutrition in humans; and that human population levels and their impacts influence both mammalian diversity areas and malnutrition in humans. But what they found was that different hypotheses were true in different parts of the region, meaning that programs addressing conservation and nutrition would need to better recognize the uneven distribution of wild meat diversity and availability—and corresponding nutrition levels—to target the right problems in the right areas. “For example, we need to start with these areas where malnutrition is higher. The results can help us know how to prioritize efforts in wildlife and nutrition, and it’s these areas with higher populations that have the greatest need,” Fa said. Without finding alternative sources of nutrients for people in the more densely populated areas, demand for wild meat in those areas will grow and put pressure on supply in more remote areas, potentially disrupting the healthy balance that more remote communities have between wildlife conservation and nutrition. “We tend not to talk much about population size and population control anymore — it’s very much the elephant in the room. But I do believe the main issues in these areas where child stunting is higher is that there are too many people, and that can impact areas that are in balance,” Fa said. For more information about this research, please contact John E. Fa at jfa949@gmail.com or Robert Nasi at r.nasi@cgiar.org. This study was supported in part by the DFID KnowFOR project. CIFOR’s research on bushmeat forms part of the CGIAR Research Program on Forests, Trees and Agroforestry.